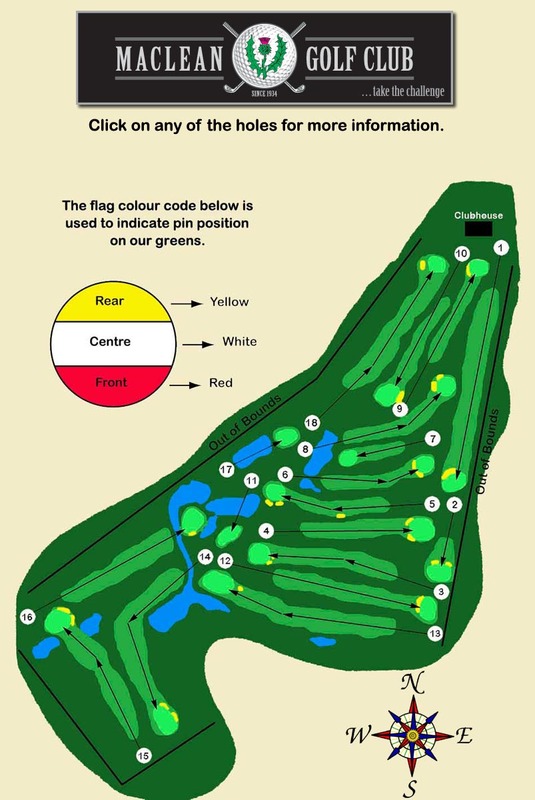 In 2003, after years of voluntary work by members, the club graduated to a full 18 hole golf course. It is a very picturesque course blending into the natural bush surroundings with an abundance of bird and animal life. Gardens featuring a variety of native shrubs add to the beauty of the course. The course is an excellent all weather facility and features a fully automatic irrigation system for both the fairways and greens. A number of small dams and lagoons are a feature of the course and each presents its own challenge to golfers of all standards. It is an undulating course featuring Tift Dwarf greens which are mostly quite large and well maintained by the course staff.